Pannunzio Drainage has been serving Windsor and surrounding areas since 1976. Pannunzio Drainage was started by Carmine and Anna Pannunzio. continue to succeed in making customer satisfaction our #1 priority. Pannunzio Drainage has always been ahead of the competition and have been leaders in trenchless technology. 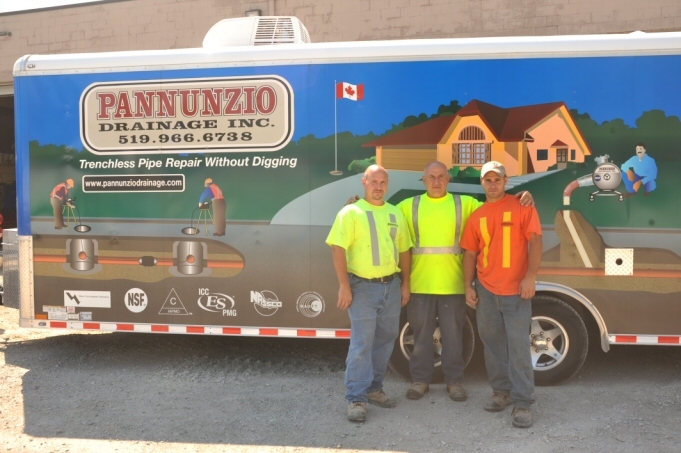 Pannunzio Drainage has been the City of Windsor's contractor for sewer replacements for over 20 years. Most of our work is through referrals and word of mouth. Ask around about us, we're sure you will hear good things and won"t be disappointed.